(03-20-2012, 10:59 AM)CobraSA Wrote: Mine shows a different device. It's an USB to PS2 converter. Anyway does rumble work? That shot does not answer that. And if that works where do you enable it? yes rumble works but you need to install the support drivers for your controller / adapter. You should also check here to see if you have vibration support system wide. Devices and Printers -> Game Controller setting (right click on joystick) -> properties - you should have a vibration tab. what adapter do you have? my adapter only cost like $3 and it supports vibration so you might just need to hunt down drivers for it. (03-20-2012, 11:55 PM)CobraSA Wrote: Thx KrossX, however the dxdiag menu does not let me install any driver, it just says it works correctly. I looked for a tutorial on how to install such a driver but I didn't find anything on google. 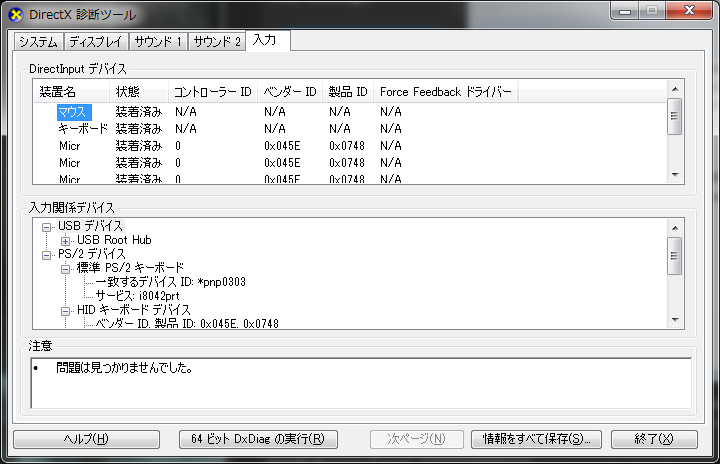 In Dxdiag, if there's a FF driver associated with the device, it will show on the Force Feedback driver column. Screenshot. For example, the third party FF driver for X360 controllers would show only there, since there's no control panel thingy for it.